This sheet provides a template for student discussion--either in small groups, teacher-led, or student-led. 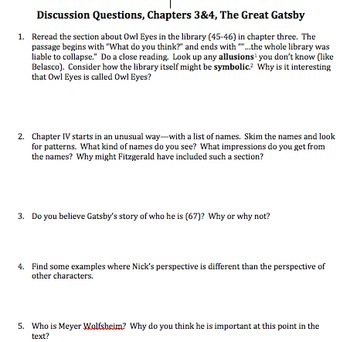 Discussion questions include close reading exercise, reading comprehension, reader response, and character review. 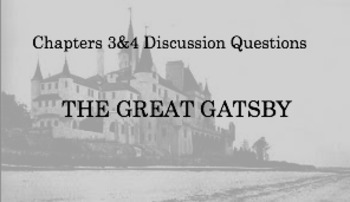 Students really enjoy talking about The Great Gatsby, and I like to have questions like these on hand to really dig into the chapters.